KATHMANDU, July 01: Senior sculptor Chandra Shyam Dangol is conducting an exhibition of his latest works reflecting Hindu and Buddhist religions at the Nepal Art Council from June 19 to 29. The exhibition will contain 17 works including representations of Laxmi, Buddha, Lokeshwor, Sukunda, Paanas, Ganesh, Mahamanjushree, as well as Buddha Stupa. Sculptor Dangol informed that the exhibition, named "Inheritance", has been viewed by 10,000 visitors. Dangol believes that the exhibition will help inform the new generation about Nepal's cultural inheritance, besides giving the culture a fresh look and also shed light on the ongoing issue of the theft and dilapidation of existing old statues. Dangol said that the art culture of Nepal has helped the country be known across the world, and as such the new generation must have awareness and knowledge of such artistic works, and help Nepal be better known in the world of art and culture. Dangol is the proprietor of Khokana Stone Carving. 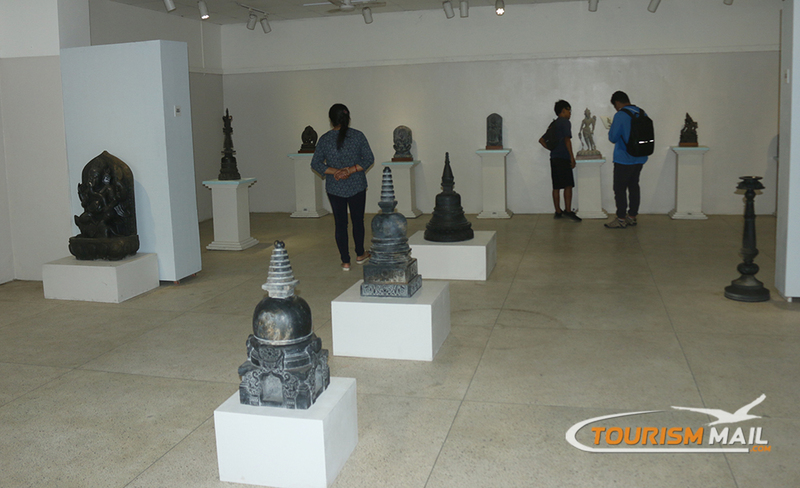 Freelance artist Saroj Bajracharya has requested visitors to the exhibition to not just look at the statues but also to show interest towards their making and history. The exhibition mainly attracted attention towards the Maha Majushree and Kuber statues. Dangol, who has been making stone sculptures for 25 years, also participated in the World Shanghai Expo 2010. The exhibition was also visited by Culture and Tourism Minister Rabindra Adhikari, UML leader Bishnu Poudel, Upper Parliament President Ganesh Timilsina, and Krishna Bahadur Mahara.